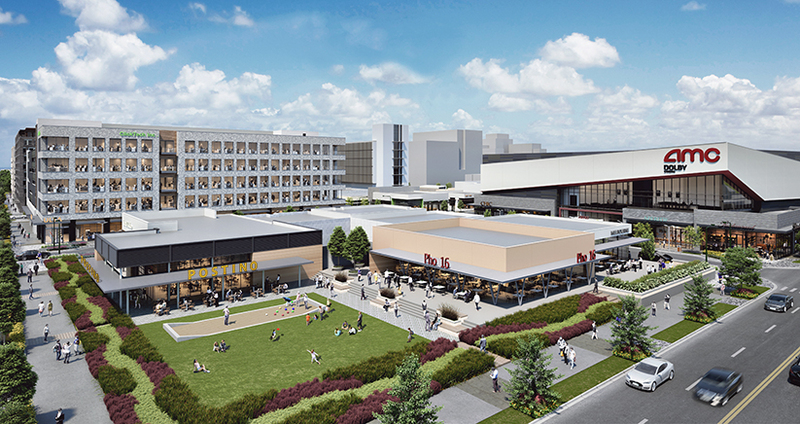 Reaching the halfway point of construction, co-developers Continuum Partners and CIM Group announced the first retail tenants for their joint venture, 9th & Colorado, a 26-acre urban infill project at the site of the former University of Colorado Health Sciences Center. The nearly 2 million square-foot mixed-use improvement project will include a 10-screen AMC Theatre location, diverse dining options and two financial institutions. “Securing these businesses that will serve 9th and Colorado and the greater community is a significant milestone in the ongoing development of 9th and Colorado,” says Frank Cannon, development director for Continuum Partners, referring to Hopdoddy Burger Bar, Zoe’s Kitchen, Postino Wine Cafe, Chase bank and Bellco Credit Union. Each of the eateries will have al fresco seating, while the first of several open green spaces will be completed in May, followed by additional pedestrian amenities.